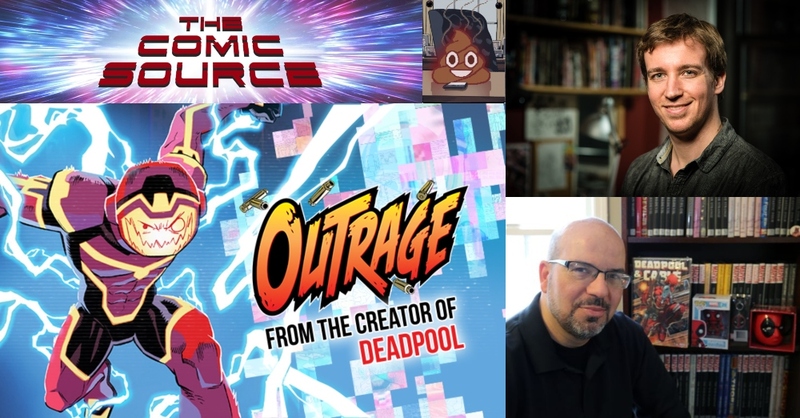 Jace is joined by two industry veterans to talk about their smash hit Webtoon strip Outrage. 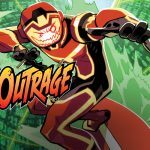 The legendary Fabian Nicieza & super-talented Reilly Brown, share the origin of this humorous story as it explores many relevant social topics. Plus some advice how how to break into the industry, when these two discovered comics as young readers and a whole lot more! History with comics, Did you grow up reading them? I am very curious how this strip evolved, can you give us the origin from first concept to what we finally see in the story? Was there every any thought that you might be pushing too far in terms of topical political content? What would you say to those readers who say comics should be fun and not political? Like the classic comics of the past? Other than the obvious political commentary, there is also a social commentary aspect to the story as well, you’re both old enough to remember life before the widespread ubiquitousness of the internet, net gain or loss? Let’s talk about the technical aspect of the story, how much research did you do into the actual real world science of the tech in the story? Was there anything you changed from your initial idea from technical standpoint? The art in the strip is very interesting as well. A lot of technology such as pixels, code and imaginary virtual cyberspace environment are including, tell us about coming up with the look and feel of the title? What is the artistic process like in creating an individual strip, how much back and forth is there between the two of you? And do you sometimes go back and purposefully up the tech feel of a strip or just let it happen organically? How has the reception for the title been? If there is anything about the reception or fan reaction to the strip what would it be? You are both established industry veterans, have worked in the traditional print medium for awhile, why do digital with this story? And why Webtoon? Do you feel digital is the future of the medium? Do you feel digital is getting the attention and respect it deserves from the industry as a whole? What has been the biggest challenge of doing this digital only title? What’s your favorite thing about working with Webtoon? Would you recommend Webtoon as a viable way for someone looking to break into the industry? 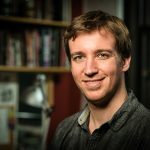 Do you think Webtoon is a good fit for established veterans looking for a place to tell a new story? Anything else you would like to share with our listeners? 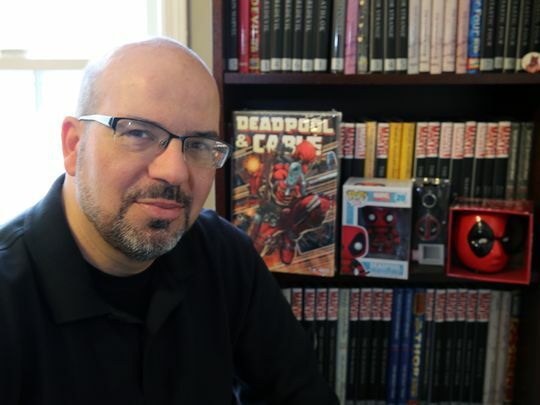 Fabian Nicieza has been in the entertainment industry for over thirty years as a writer, editor, publisher and chief creative officer whose signature co-creation, Deadpool, has become one of the decade’s biggest entertainment and consumer product phenomenon for teens and adults. 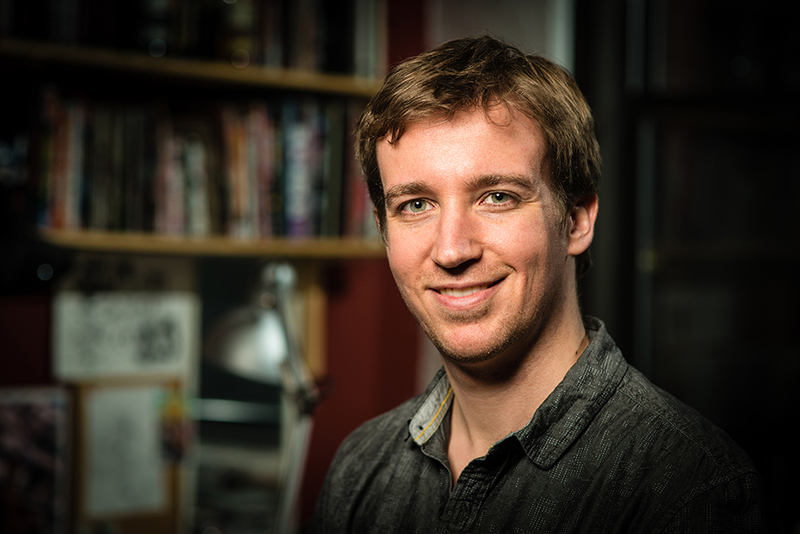 New Jersey native Reilly Brown is a fan-favorite comic book artist and writer for Marvel and DC Comics, known for bringing a sense of character and personality to the projects that he works on, balancing a combination of light-hearted humor, with fast paced superhero action. These talents have been on full display in the pages of AMAZING SPIDER-MAN, INCREDIBLE HERCULES, LOBO, and many other comics, perhaps most notably DEADPOOL, Marvel’s infamous, rapid-healing, merc-with-a-mouth! 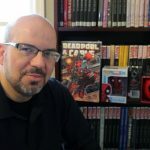 He is also a pioneer in digital storytelling, utilizing new ways of making comics for tablets and smart phones with his creator-owned series POWER PLAY, as well as several stories for Marvel, including DEADPOOL: THE GAUNTLET, SLAPSTICK and many others. 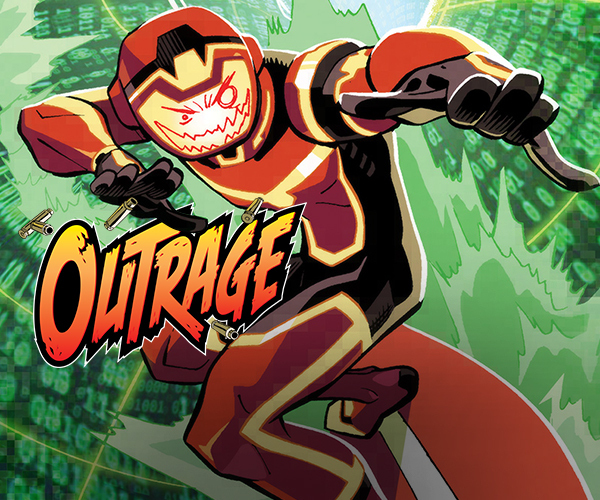 Reilly currently draws the comic OUTRAGE, which can be read for free on Webtoon.